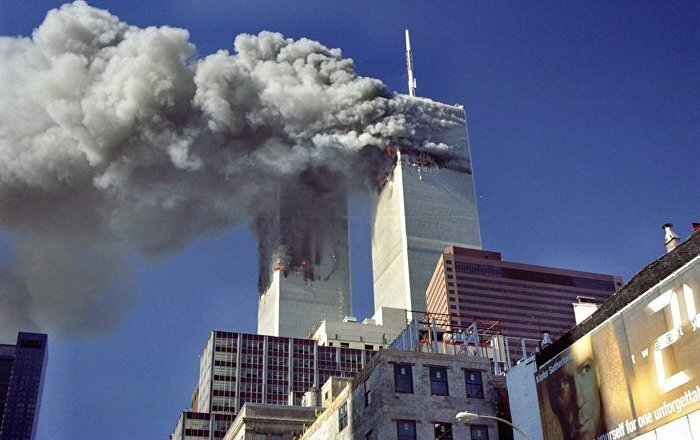 A group of hackers known as Dark Overlord promised to release more stolen legal documents related to the September 11 attacks in New York and demanded a ransom for the data. Sputnik discussed the publications with Gary Miliefsky, a well-known computer security expert. Sputnik: What is your opinion on the timing of the release of stolen documents? Why did they do it almost 18 years after the attacks? Gary Miliefsky: I'm not sure how the times could have an impact on anything. If they were going to release them on the occasion of the 11th of September, this would probably have a bigger impact, but they released over 650 MB and I believe that if you keep paying them in bitcoins, they will continue to release what they call the level following in their data theft of the materials they stole in relation to September 11th. Sputnik: what do we know about this group? Why are they authorized, in fact, by the forces of the order to ask and collect a ransom online? Gary Miliefsky: These are big questions. First of all, in 2018, around May, the Serbian police arrested a man who was accused of having links with the Dark Overlord group and it is very difficult to track down anyone. For example, Anonymous has been around forever and nobody knows who exactly is a member of Anonymous; It's one of those things where if they're really smart and they're hiding there, let's call them "cookie crumbs", where they are, using strong encryption and spoofing and other related technologies, it's really hard to find them. Sputnik: I remember talking to a number of cybersecurity hosts – we were talking about hacking attacks at the time – and they were saying that it's impossible to find out where they came from; you can not even identify the country exactly. Gary Miliefsky: Actually this is one of the dark sides of the crypto-coin, or bitcoin, the technology, but the bright side is that it gives you a little privacy and anonymity in your transactions, but the criminals immediately took possession of that model and you've heard of a lot of recent attacks with ransomware and this is another ransomware attack when they're actually saying that we're holding back hostage documents, but it's not on your computer, which normally ransomware is software on your computer that blocks – that is what happened to the national health service in the UK, the 1,400 computers blocked and had to pay bitcoins to unlock them. So what they did these people stole a lot of documents, for some reason they hacked movie companies like Netflix and others, and insurance companies for years and it turns out, probably, in their hacking attempts in insurance companies have found this casket of documents related to September 11th. Sputnik: Some guests have said that the fact that they are insurance companies could make it interesting, as they tend to ask questions, that lawyers ask questions that could be quite interesting. Gary Miliefsky: Yes, you see the insurance companies that paid the claims, then they presented these alternative causes where they are saying that we want to be repaid. Let's say that there was a manufacturing defect in a car and that your insurance company covered it for you, they can go in search of the car manufacturer. So these documents are very similar as they are showing insurance companies trying to recover their losses for payments on September 11, and in recovering their losses, the questions that will be discovered are "who sued?" , "why did they report them? ", "what information was discovered in these cases? ", "they recovered their money and who paid them?". Sputnik: how valuable are the data released by hackers? Gary Miliefsky: It seems extremely valuable and I think that if they go out continuous layers, they will begin to paint an 11/11 post picture of how huge demands are paid and reimbursed, and what the parties are involved with, there are many big names in these documents. Sputnik: Will it provide the public with more information that will differ from what we know about the September 11 attack? Gary Miliefsky: It could paint a larger picture and could provide some alternative information or some more recent data that has never been made public, for any reason. Sputnik: How dangerous would you say is that the group is still able to continue its online hacking and extortion campaigns and, it seems, there's no way to stop them? Gary Miliefsky: Well, you know, you look at people like Snowden, some people call him a patriot because he's exposed interception technology, other people call him a cyber-terrorist or a cyber criminal, with WikiLeaks people, they said good things, half of the world probably likes WikiLeaks website and the other half of the world no. It's very interesting, but what I like to watch is that knowledge and power and information are important and powerful for people; I do not think that getting information through criminal means is a good thing, but I think that more information is shared with citizens around the world on important events, the more we will be aware of not allowing this kind of thing to happen again in the future. Sputnik: Do you think we'll know soon, or could they sit on this information for a certain period of time? Gary Miliefsky: The group stated that they will sit on it until more money is paid. They are purely a criminal organization that seeks to derive profits from this material and before other bitcoins are launched, the more they will go to the next level. And the bitcoin address had, I believe, up to now maybe 16 to 20 transactions, maybe around $ 20,000 and then they said they have five levels, so we're only at level one, so the next layer that knows what they're going to do it, but I think they will try to pull out as much money as possible and perhaps the cost to see the next level is 10 times what we saw today. Who knows? It will be interesting to see how they get these cryptocurrencies flowing in their direction. The opinions expressed in this article are those of the speaker and do not necessarily reflect those of Sputnik.